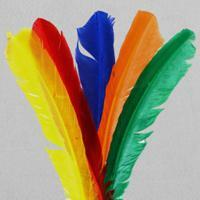 Feathers are the perfect Haberdashery accessory for all of your craft and dressmaking projects. 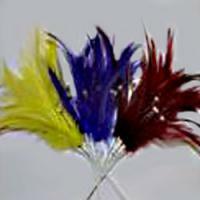 Our beautiful Feathers are soft to the touch and are available in a range of striking colours and designs. 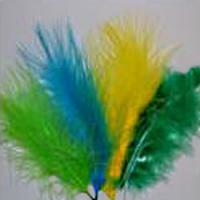 Whether you are working on a fancy dress costume or creating a unique and eye-catching fascinator to compliment a wedding or races outfit, we are sure you will find what you need within our range of gorgeous Feathers. A versatile accessory, Feathers are perfecting for ensuring that your creation really stands out from the crowd. 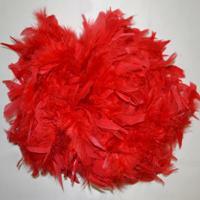 Feathers are always popular in crafting, hat making and dressmaking and give a touch of vintage class to your projects. 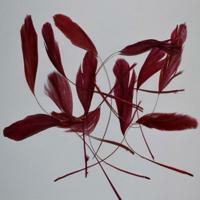 Feathers are easy to work with and can be either glued or sewn to a variety of materials. 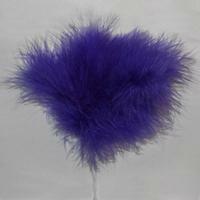 Ostrich Feathers are highly sought after and are instantly recognisable due to their large fluffy plumage. They always make a statement whether they are being used for interior design or adorning an elaborate theatre costume. Popular within floristry, Feathers can be used in flower arranging and are perfect for bridal bouquets and posies as well as creating a stunning effect on wedding and celebration cakes. 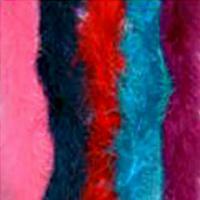 Our range of marabou Feathers are beautifully soft in texture and are perfect for a range of craft and fancy dress purposes, often found adorning masquerade masks or in bridal bouquets and wedding accessories. 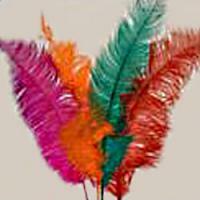 Buy Feathers Online to explore your creativity, Feathers are perfect for anything that your imagination can throw at you including costumes, masks, wedding accessories and home interiors such as dream catchers, pillows and lampshades.